I’ve been looking forward to this post, just because our family LOVES to have fun together, but rarely do we do anything that costs, unless we have gift money. My mother-in-law has given us the greatest gift! She writes us a check for birthdays for the year and we cash it and keep it aside. The money is to be used for activities that we would like to do together that we wouldn’t do otherwise. This past year we saw a Veggie Tales performance (wasn’t a big hit with any of us), and we went to the circus, which was fun, but probably not something we will repeat again and a spectacular performance of the story of Noah at Sight and Sound. Even though the first two weren’t all that great, Sight and Sound DEFINITELY made up for it! It was absolutely amazing and we would love to go again! We had a little money left over from each of these so we have used it for small things here and there like going to fall festivals, public swimming pools, rec center visit, and other things that we wouldn’t usually do, but are a nice treat. But what do we do… for free? I was looking back through my photos from the last two to three years and looking at the things we did and got some additional ideas of things to add to this post. We have done so much together and the cost has been minimal… usually just the cost of gas to get there! There are so many free opportunities, but you wouldn’t know about them if you didn’t take the time to hunt them out! Some of these ideas are probably things that you’ve already done or already know about, but maybe there are a few that might catch your eye! I thought maybe by just listing them out it would be easiest to read and view, so take a peek and see if you get any ideas! Do keep in mind these are things we’ve done as a family, so I’ve left off the inexpensive arts and crafts, sidewalk chalk, bubbles and that sort of thing. Also, there are plenty of blogs out there that have great ideas of things to do in the area you live. I personally like WTOP and look under their calendar tab and it gives you what is going on in the DC Metro area. Regional, State, and National parks – All usually have hiking, picnicking areas, volleyball or just space to run around or throw a frisbee. We’ve had many a picnic and lazy afternoon just enjoying good weather, warm sun and a large space for kids to run, yell and play! With regional parks you may pay an entrance fee if your residence isn’t in the same county. Also, National parks usually have a fee to get in, unless you go on one of their free days . These parks also have a Junior Ranger program which is free and the kids really enjoy it! Library – this is always a huge favorite with my kids and hubby! We all love to read and finding a good book or two or 50! The library also offers LOTS of free programs all through the year for all ages. Get a calendar at your local library and try it out. We have gone to storytimes, tea parties, nature talks, crafts, movies and more. This is a great location for a change of indoor space in the winter without having to pay. Mall play area – our local mall is having theirs renovated at the moment, but even though it’s geared for younger kids, my older ones still enjoy it. I like the fact that hubby and I can enjoy a cup of coffee while they play and get some energy out… another great free indoor space for winter! 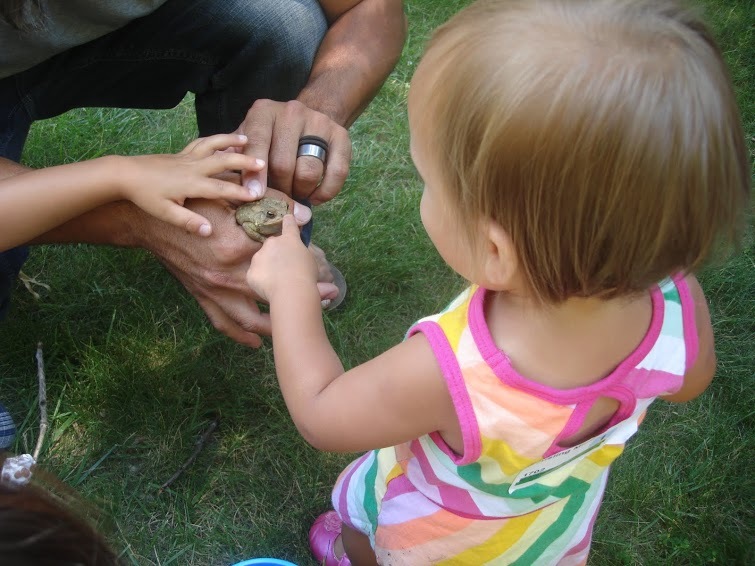 Nature centers – We never tire of these because depending on the season there is always something new to see. We especially like Hidden Pond Nature Center and Claude Moore Nature Center. Both of these have a great hands on area to see live animals, study them, and to learn new facts about them! There are usually lots of other activities, books, puzzles, coloring, etc to be done as well as nature trails, ponds, playgrounds and the like! LOTS to fill the day! Frying Pan Park is another favorite to see a working farm for free and to wander around looking at the animals and more space to run and yell. If you haven’t found a common theme… I LOVE spaces for kids to run and yell… we don’t have that in our townhouse or yard, so finding new spaces to do that in, is a priority! Find a creek to splash around in – This is ALWAYS huge in our family! Brian enjoys it just as much as the kids! An opportunity to get their shoes wet and wet down to their undies is seen as a treat! We also usually try to use the time for learning as well. Finding crawdads, frogs, fish, water skimmers, and a whole host of other wildlife, water life and more! A friends backyard – Don’t underestimate this! Just going someplace new is fun for kids! Going to a friends yard or them coming to you! My hubby is really good at coming up with group games and team development activities. These are great ways for kids to learn to work together to reach a common goal and have fun doing it. Usually having a simple fun activity gives it a little structure, but with plenty of free time to do with what they like! Service projects – There are SO many places to serve others and I really want my kids to learn to care for others in need. We need to do more of this. However, Brian has trimmed trees and done some yard work for neighbors who need it, but can’t necessarily pay, and I like for my boys to see that and help. Also having them help make and deliver a meal to a family who has a new baby, or is in the middle of moving or having something big going on in their family will bless others and us as we work together to make it happen. Also, just making cards to send for birthdays or ‘just cause’ to cousins out of state is fun and helps us stop thinking of me, myself and I all the time! Moms groups – These definitely abound! Our church has one and there are neighborhood ones, community ones, ones formed by interest groups, etc. We have benefited from these lots when the kids were younger, but now we are a bit busy and don’t do that as often. These days I like to have a little more purpose to our play, that is, we go somewhere or have a direction to it…. but that of course isn’t always a necessity! Church/sunday school – I’m not trying to push church on you… even though it is something SUPER important to our family and is our spiritual family and an integral part of our life… but purely from a free standpoint… there is free singing, free music, free crafts and childs program, free adult talk on an adult level, often free coffee, and by the way!!! Salvation is a free gift too! Would love to have you check it out with us! 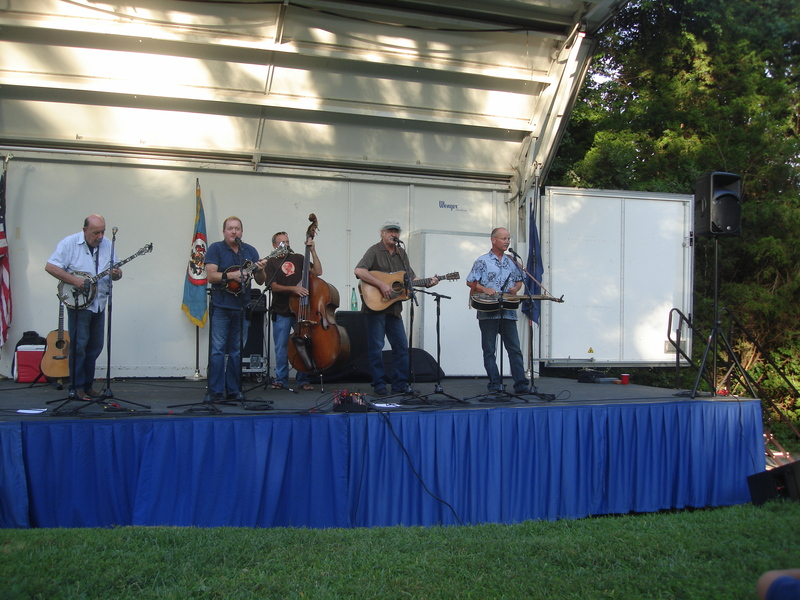 Seasonal free concert series – Fairfax county, VA has A LOT I think I found over 150 outdoor concerts over the course of the summer. I really love the opportunity it provides our kids to be exposed to different types of music in a venue that allows kids to move around, talk and play without disrupting the concert. They are also usually only an hour or a bit more which was perfect for our kiddos. This past summer I think we went to at least one a week (except the week Xanthie was born). DC museums – These are invaluable. In most areas of the US there are entrance fees for the majority of museums. But since we have the smithsonian right here in the District, we try to take advantage of it as much as possible. You don’t have to read every plack, especially with younger children. Just looking at all the cool things contained in each museum is fascinating for all eyes… big and small! Make a meal to share with friends – make it an interactive meal around 1 dish or making sushi together, or if there isn’t enough extra $$ in the budget, then just have friends over for popcorn or coffee and hot chocolate. Just being with friends sharing what you have warms the heart! Easter, Halloween and Christmas programs – My mom’s church and others in the area put on dramatizations of different Bible stories. Sometimes they can be a little scarey, but my kids LOVED the Easter one last year and we are planning on going to the Christmas one this year! There are plenty of churches that do this each year. They are usually free compared to school drama productions, but are just as good if not better! Go to the beach for a day/catch crabs, build sand castles, and just enjoy the sun. We are only about 3-4 hours from the beach where we are, so a day trip is a LONG day, but it can be worth it! 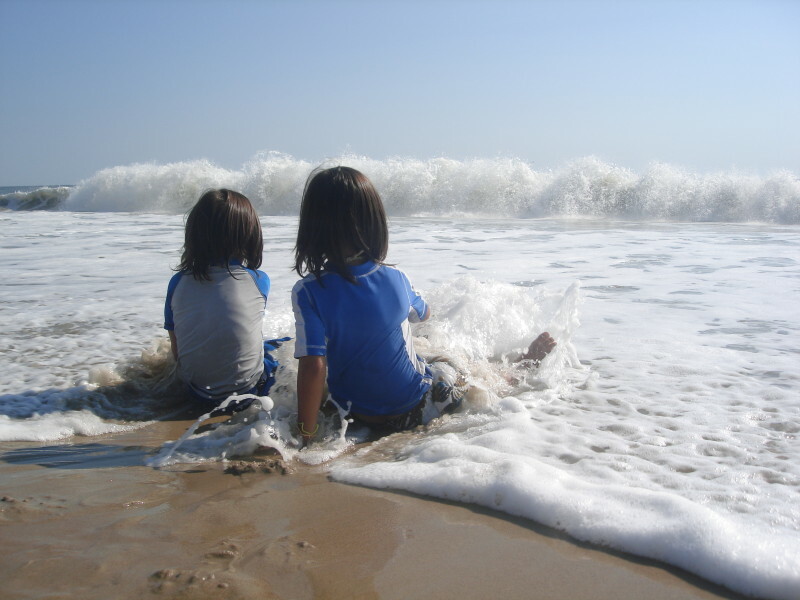 We LOVE the Sea, Sand and Surf! Fairfax Corner Fountains, Spraygrounds – These are great free water activities! Lees District Park has a fantastic sprayground (AND playground) and there are others in this area as well, but pretty much anything with water kids will like! PS… this is free too in case you didn’t realize! Vacation Bible School – The one with our church does have a fee, but there are others in the area that are free. It is a great way for the kids to meet new people, learn about Jesus and have a great time! Usually it lasts most of the week during the summer and is ALWAYS looked forward to! Campfire/s’mores/pumpkin seeds – We have a fire pit on our patio and we got it for free from craigslist. It is a great meeting place for friends and family. Cheap snacks include s’mores and toasted pumpkin seeds and are perfect for around a fire! This can be done anytime of year… I prefer spring and fall and Brian loves doing it in winter with snow all around! 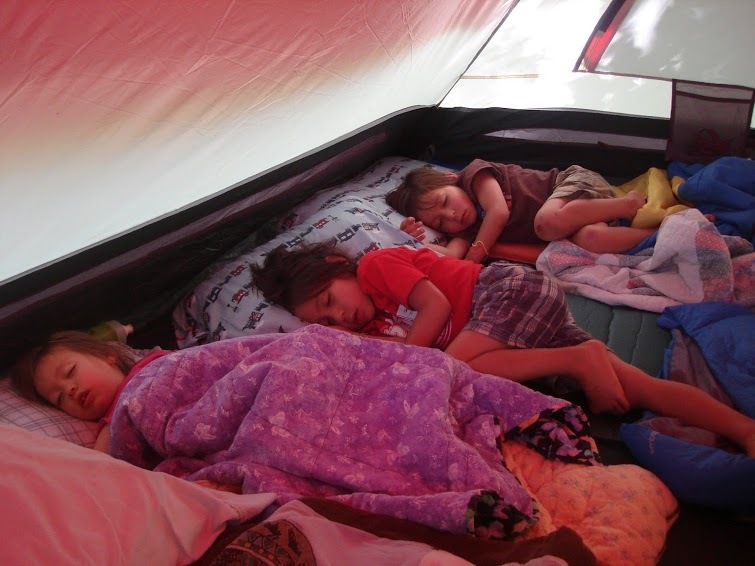 Camping – This is a family favorite for us. Camping has significantly gone up in cost I feel like… now running around $30 a night. But we also have friends and family living over an hour away from us, and it’s the perfect location for camping! Free camping! And real bathrooms and a full kitchen. It’s a fun weekend with family or friends and no cost! Indoor winter camping – This is a fun activity for winter. We set up the tent (the small one!) in the living room and have a dinner over the firepit outside on the patio and let the kids sleep in the tent that night. We will often leave it up for 2 or 3 days! It’s always better to do ANYTHING inside a tent! Even fold laundry! Find free festivals – As I mentioned earlier I used WTOP a lot for finding out about activities and festivals in the area that are free and closeby. This site also has a “freebies” tab that has other free deals in the area. St Patricks Day Parade in Alexandria – We did this last year and had a fantastic time. Highly recommend it! We had just finished reading some books taking place in Scotland and learning about bagpipes… and we got to hear lots of it! Never knew there were so many sets of bagpipes in northern VA! 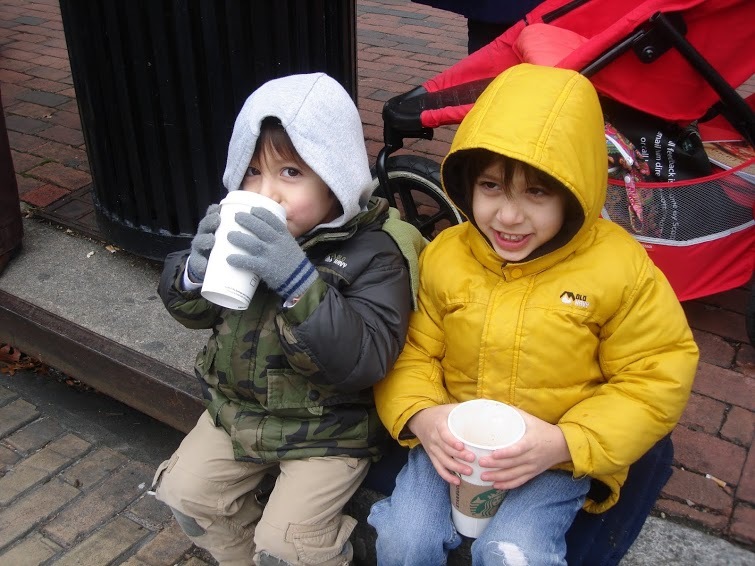 At the St Patrick’s Day Parade… and their first introduction to Starbucks! Host a read a book/activity day – We did this with friends. We had a kid friendly book to read together and then had an activity that went with it. We read [amazon_link id=”0698114434″ target=”_blank” container=”” container_class=”” ]Mirette on the High Wire[/amazon_link] and then played around on tight ropes and a [amazon_link id=”B00BIBRQIO” target=”_blank” container=”” container_class=”” ]slackline[/amazon_link]. All the kids and adults had fun! Often there are activities that we read about in books that look like fun, but we never given them a try… why not do it and have some friends join you! Watch airplanes land at National Airport at Gravelly Point Park – This is also a great place to watch the National Fireworks on the 4th of July… although it does get crowded! Fun place to go and free! So there is a list of ideas and what we like to do as a family. I’m sure there is more, so I’m sure in the future I’ll have to post a part B! One other quick note. Since I’m a part of the Holistic Moms Network group, there are lots of free opportunities for playgroups, school co-ops, homeschool groups, seasonal parties, group outings/field trips, and so much more. Also these activities are usually free and there are other options for discounted group costs as well. So we have found the night train to be amazing. The boys love the train! (what boy doesn’t!) and they get to ride the Metro to the train station in DC and then the Subway after that! It gives us a relaxing trip, with large bathrooms near our seats, not having to stay buckled, not usually very busy so it reduces the risk of bothering other passengers… and if we do bother them, they can easily move to another car! And the prices, so much better than air! AND kids are free under 2 and ½ priced tickets until the age of 15! It’s has been a great option for us. If you’re reading this, you’ve made it to the end of an insanely long post! So hopefully you’ve found it helpful and have been provided with a few new ideas or reminded of old ones! If you have ideas of other family activities I’d love to hear! Some really great ideas! More than that you’ve motivated me to get out more! Before having Nate we were always on the go then with an infant now toddler it just seemed impossible. Thanks for the encouragement! Oh Wow! That is super cool! We might have to go on a fossil hunt too! Sounds like so much fun and the PERFECT activity for boys!